The Imperial War Museum In London has to be a must see for anyone interested in war memorabilia and historical conflicts of the 20th and 21st centuries. It was first set up in 1917 and its aim remains the same as it did then, to teach future generations about the causes and consequences of conflict and its often terrible effects on millions of people's lives. Closed on 19, 24, 25 ,26 December. Admission to the museum is FREE. There may be a small charge for some temporary exhibitions. Tel: 020 7416 5000 Email: mail@iwm.org.uk. The museum is housed in the remaining central part of the infamous Bethlem Royal hospital often referred to as "Bedlam" because its patients were predominately people who were classed as Insane. 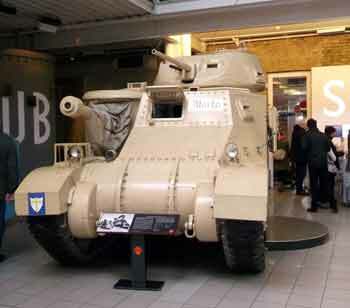 The museum holds an impressive collection of Military machines such as tanks and aeroplanes which featured in some of the most well known battles ever fought. There are also many original uniforms, artefacts and ephemera belonging to soldiers from the two world wars. There are also visitor experiences such as the Trenches Walk, the Blitz experience and the Holocaust exhibition which I warn you is not for the faint hearted. There are six floors in the museum to explore, some have permanent displays, others have temporary exhibitions. I have decided to list the exhibitions according to the floor they are on. When you enter the museum you have the choice of either buying a full colour guide or picking up a small plan of the museum for free. I must admit I found the plan a little confusing but it is worth having for reference. Several temporary exhibition spaces (check with the what's on pages for an update of forth coming exhibitions and events. Second World War Exhibition Including The Blitz Experience. 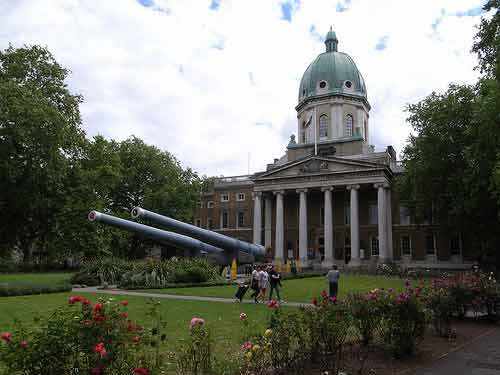 You will be glad of somewhere to stop off (regularly) during your visit to the Imperial war museum. The museum provides a fairly large cafe which sells hot fresh food, such as soups, stews, pies and pastas. Delicious looking cakes such as Victoria Sponge cake (a personal favourite), Scones with jam and cream and even cornflake crunches. Sandwiches and salads and of course hot and cold drinks. I might add they are all very reasonably priced which can't be said for all museum cafes. There is also a well stocked shop selling as you would expect, military books, toys, models and general war related nicnaks. The items are good quality and presented very well, so you may even decide to buy major birthday and Christmas gifts for others too. The children won't be disappointed either as there are plenty of cheap fun items available to buy as well as quality model kits. War and military memorabilia has never been high on my list of likes, but a visit to the Imperial War museum is so much more and I would personally say, a very important place to visit at least once. Why? Because I discovered things during my visit which I can quite simply say shocked me, made me cry, depressed me but most of all gave me a much better understanding of the world we live in today and the wars we have fought in the past. Does that sound rather profound? well I cam honest say that I came away from the museum a much better informed person with a much better understanding and with a desire to see war a thing of the pasts. Now if everyone had this experience perhaps we would live in a world with less war, we can but hope. I can't say I enjoyed the visit to the museum, as how can you enjoy war. But I would assume from the many happy and excited children and young men, the museum does appeal to those of us with an interest in the military and the weapons of war. I did however think that it was a very good museum with many fascinating and interesting displays. The main large exhibits gallery is very imposing as you enter the museum. You are faced with a real life V2 rocket, tanks, big guns and aircraft above your head and this does all rather take your breath away, as these are not objects you would normally get close too. I must say that for me the exhibition which affected me the most and which stayed with me for many days afterwards, was The Holocaust exhibition. This is a large exhibition which has an atmosphere all of its own. They keep the lights dim and just spotlight the exhibits; it is very quiet within the gallery as no one wants to make a sound and anyone talking does so in a whisper. Children under the age of 14 are not recommended for this exhibition, due to the graphic imagery and horrific story. I walked around the gallery in a state of nervous shock. I had known much about the holocaust before my visit but this display showed and told me things I simply could not believe was true. It really must have been the closest thing to hell on earth. Ok now that I have cheered you all up, I will end by saying that there is something for everyone in the Imperial War Museum, military enthusiast or not. 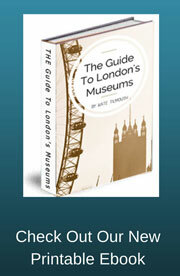 The associated pages under the Exhibitions headings will give you more of an idea of what you can see during your visit. I have included lots of pictures and videos too.